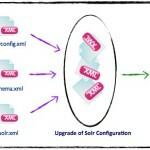 SolrCloud is the name of a set of new distributed capabilities in Solr. New Solr provides the highly scalable, fault tolerant, distributed indexing & search capabilities, near real-time search, centralized cluster configuration & management. Replication factor comes into play – minimum no. of copies of a document maintained by the cluster. 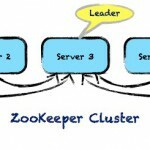 Zookeeper Cluster (Multi-Server) Setup of-course Solr comes with embedded ZooKeeper, however not recommended for Production use. 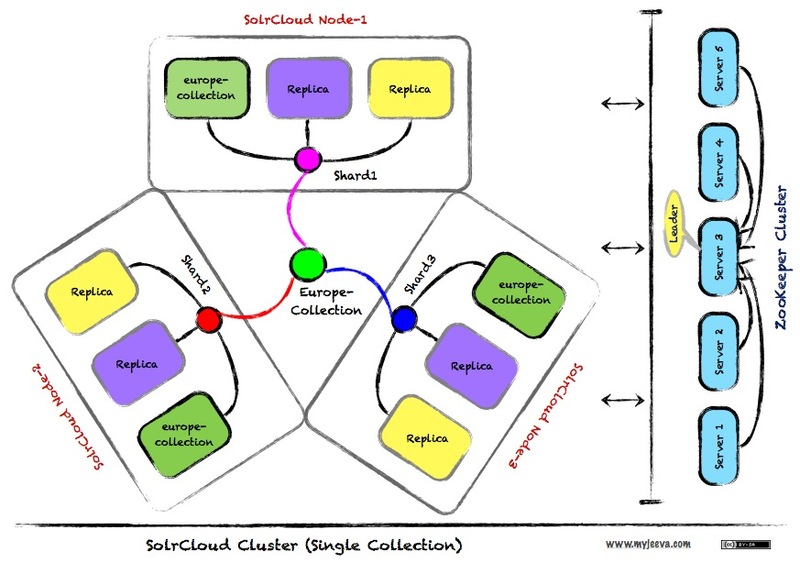 SolrCloud Cluster (Single Collection) Deployment – here we will deploy SolrCloud Cluster in medium complexity of 3 Shard(s) with replica(s) [replication factor 3], 3 Instances of Tomcat Servers for Solr Node(s) and 5 Replicated servers in ZooKeeper ensemble. Upgrade/Migration of Solr 3.x to Solr 4 - here we will get into steps involved in migrating Classic Solr 3.x into brand new Solr 4 aka SolrCloud. SolrCloud Cluster (Multiple Collection) Deployment – here we will go further deep into SolrCloud complex deployment of 2 Collections (Data Center 1 & 2), 3 shard(s) with replica(s)[replication factor 3], 6 Instances of Tomcat Servers and 9 Replicated servers in Zookeeper ensemble. XML configuration parsing is now more strict about situations where a single setting is allowed but multiple values are found. In the past, one value would be chosen arbitrarily and silently. Starting with 4.5, configuration parsing will fail with an error in situations like this. If you see error messages such as solrconfig.xml contains more than one value for config path: XXXXX or Found Z configuration sections when at most 1 is allowed matching expression: XXXXX check your solrconfig.xml file for multiple occurrences of XXXXX and delete the ones that you do not wish to use. Allow multiple threads to be specified for faceting. When threading, one can specify facet.threads to parallelize loading the uninverted fields. In at least one extreme case this reduced warmup time from 20 seconds to 3 seconds. In the past, schema.xml parsing would silently ignore default or required options specified on <dynamicField/> declarations. Begining with 4.5, attempting to do configured these on a dynamic field will cause an init error. If you encounter one of these errors when upgrading an existing schema.xml, you can safely remove these attributes, regardless of their value, from your config and Solr will continue to bahave exactly as it did in previous versions. The UniqFieldsUpdateProcessorFactory has been improved to support all of the FieldMutatingUpdateProcessorFactory selector options. The <lst named="fields"> init param option is now deprecated and should be replaced with the more standard <arr name="fieldName">. The routing parameter shard.keys is deprecated as part of SOLR-5017. The new parameter name is _route_. The old parameter should continue to work for another release. UpdateRequestExt has been removed as part of SOLR-4816. So use UpdateRequest instead. CloudSolrServer can now use multiple threads to add documents by default. This is a small change in runtime semantics when using the bulk add method - you will still end up with the same exception on a failure, but some documents beyond the one that failed may have made it in. To get the old, single threaded behavior, set parallel updates to false on the CloudSolrServer instance. CloudSolrServer can now route updates locally and no longer relies on inter-node update forwarding. Dynamically add fields to schema. Extended FieldMutatingUpdateProcessor.ConfigurableFieldNameSelector to enable checking whether a field matches any schema field. To select field names that don't match any fields or dynamic fields in the schema, add <bool name="fieldNameMatchesSchemaField">false</bool> to an update processor's configuration in solrconfig.xml. SolrJ's SolrPing object has new methods for ping, enable, and disable. Properties files by Solr are now written in UTF-8 encoding, Unicode is no longer escaped. Reading of legacy properties files with u escapes is still possible. Provided REST API read access to all elements of the live schema. Added a REST API request to return the entire live schema, in JSON, XML, and schema.xml formats. Move REST API methods from package org.apache.solr.rest to org.apache.solr.rest.schema, and rename base functionality REST API classes to remove the current schema focus, to prepare for other non-schema REST APIs. Change output path for copyFields and dynamicFields from "copyfields" and "dynamicfields" (all lowercase) to copyFields and dynamicFields, respectively, to align with all other REST API outputs, which use camelCase. In preparation for REST API requests that can modify the schema, a managed schema is introduced. Added <schemaFactory mutable="true"/> to solrconfig.xml in order to use it, and to enable schema modifications via REST API requests. A new collections api to add additional shards dynamically by splitting existing shards. 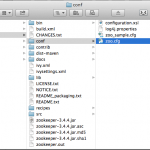 Discovering SolrCores by directory structure rather than defining them in solr.xml. 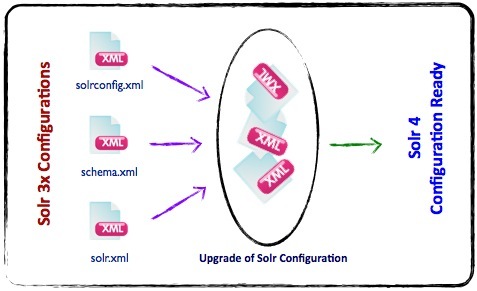 Also, change the format of solr.xml to be closer to that of solrconfig.xml. This version of Solr will ship the example in the old style, but you can manually try the new style. Solr 4.4 will ship with the new style, and Solr 5.0 will remove support for the old style. The hardcoded SolrCloud defaults for hostContext="solr" and hostPort="8983" have been deprecated and will be removed in Solr 5.0. Existing solr.xml files that do not have these options explicitly specified should be updated accordingly. New SweetSpotSimilarityFactory allows customizable TF/IDF based Similarity when you know the optimal Sweet Spot of values for the field length and TF scoring factors. SolrJ, and SolrCloud internals, now use SystemDefaultHttpClient under the covers -- allowing many HTTP connection related properties to be controlled via 'standard' java system properties. CurrencyField's OpenExchangeRatesOrgProvider now requires a ratesFileLocation init param, since the previous global default no longer works. Collection Aliasing. the search side will allowing mapping a single alias to multiple collections, but the index side will only support mapping a single alias to a single collection. ExternalFileField caches can be reloaded on firstSearcher/ newSearcher events using the ExternalFileFieldReloader - implementation. Collection specific document routing. The "compositeId" router is the default for collections with hash based routing (i.e. when numShards=N is specified on collection creation). 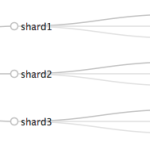 Documents with ids sharing the same domain (prefix) will be routed to the same shard, allowing for efficient querying. Added <propertyWriter /> element to DIH's data-config.xml file, allowing the user to specify the location, filename and Locale for the data-config.properties file. Alternatively, users can specify their own property writer implementation for greater control. This new configuration element is optional, and defaults mimic prior behavior. The one exception is that the root locale is default. Previously it was the machine's default locale. Fix SolrCloud behavior when using hostContext containing _ or / characters. This fix also makes SolrCloud more accepting of hostContext values with leading/trailing slashes. I will see you around, enjoy the article. Have queries? hmm, post it here! Thank you for sharing your knowledge on SolrCloud – they have been easy to read and very useful. Can you please post other articles mentioned in Upcoming articles, as they will be very useful as well? I like your articles – can you please post reminder of SolrCloud articles, as they will be useful? Thanks! I like your articles – can you please post the reminder of SolrCloud articles as they will be useful? Thanks! @shaofeng:disqus – You’re welcome. Actually it was planned to publish long ago. I will make it soon. Thanks for covering the topic of SolrCloud as it’s yet quite hard to find much info about it (hope it’s just temporarily while it’s new). I wanted to asked if you know whether indexing and searching at the same time influences collection performance much. With master-slave implementation of distributed Solr (prior to Solr 4.x) it was a straight design solution to have master which takes load for indexing, merging and optimizing index. Then the index gets copied to replicas while replicas meanwhile are always serving searches. That’s how we had that working – cause having index optimized is always important for us for performance. Seems like SolrCloud sends indexing commands to each replica from leader. But how the search performance could be achieved then? Indexing and searching on each replica makes load on each node server (to index and run merge thread in background) and since my index is quite big it takes a lot of time usually to merge segments or simply optimize. Should I deliver that all now to merge policy and not worry at all? Does TieredMergePolicy provide both good search performance and low resource load (CPU, I/O) at the same time? Hello Anton Murauyou – Thanks, Sorry for delayed response. My macbook pro went for toss. I got back from apple yesterday. Leader role is to identify the appropriate node to perform requested activity (indexing, querying), so not to worry on performance. It is performing good. Yes, TieredMergePoilcy provides best balance around performance with low resource usage. Just make sure you tune factor value as per your need. Thanks for response. I’m already trying different approaches with having some collections sharded and some not. I have a huge volume of documents, so I’ll share some statistics when possible. Currently i have setup solrcloud with 4.4 version with 4 tomcats, 3 zookeeper , 1 collection (Mycollection). first i uplink the coonfiguration to the collection. Then create cores and link them with the collection. @disqus_xETuNFcG2p:disqus – Thanks! mentioned syntax looks fine. If need be you can make use of maxShardsPerNode to limit no of shard can reside in each node; along with numShards & replicationFactor. Just a suggestion, define core name’s and replica name’s meaningfully as per housing data. Thanks for posting this article. I’m in the process of moving to SolrCloud from the conventional master-slave model. But the SolrCloud query performance has been a huge disappointment. I have looked into different options, but sort of clueless on identifying the bottleneck. I’ve my configuration posted in StackOverflow, you can take a look for your reference. I’ll appreciate if you can provide some suggestion to deal with slow query response. @shamikbanerjee:disqus – Sure will have a look and share my thoughts. Good article! What are your thoughts on SolrCloud’s load balancing. Does it kick only if there are multiple shards and is the load balancing effective with just a single shard (1-leader,n-replicas). @disqus_nSWwbHTLZj:disqus – Yes, it is beneficial only, if you have multiple shards with no. of active nodes with replicas in terms of high-availabilty and failover. Load balancing is more of helpful when you make use of Document & Index routing in solrcloud else you might see latency in query performance. Hello! Nice article, thanks! 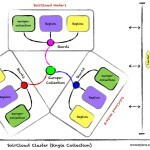 One question from me – when are you going to publish ‘SolrCloud Cluster (Multiple Collection) Deployment’ ? I’m just interested in how you deal with multiple DCs (do those two collections contain same data?). Regards! when are you going to publish ‘SolrCloud Cluster (Multiple Collection) Deployment’ ? @jayeshbhoyar:disqus – Actually its been a long time, will try to draft & publish it. Thanks for your interest. 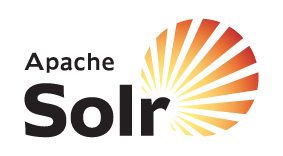 How I can go back to conventional solr from solrCloud. Generated in 0.116 seconds. All date/time in UTC.